From Big Brothers Big Sisters to the Chicago Bulls, UI grad spreads mentorship and rehabilitation services. Relaxing in Hillcrest Hall on a Sunday night, Mark Kaufman (86BS) could have easily skipped the meeting that changed his life. But the UI sophomore was intrigued by a recent letter he received about a gathering, and that was enough to send him out the door. 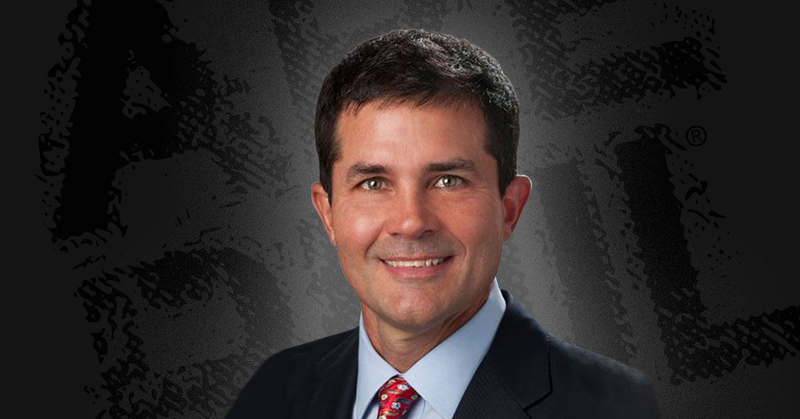 Kaufman walked inside the recently completed Carver-Hawkeye Arena and uncovered an interest that eventually led him to build one of the largest physical therapy franchises in the country. Kaufman was accepted into the UI athletic training program later that year. He earned his certificate and a bachelor’s degree in 1986, completed secondary degrees at the University of Arizona and Northwestern University, and worked two years at a Chicago-area physical therapy clinic. In August 1991, Kaufman opened the first Athletico center in Chicago with only the help of a receptionist to get his business started. Today, the orthopedic rehabilitation provider has more than 400 locations in 11 states and its clientele includes the Big Ten Conference, U.S. Soccer, and several major Chicago sports franchises. 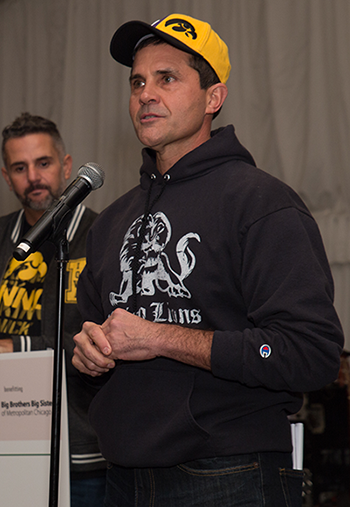 Kaufman, the CEO and president of Athletico, will return to the UI to give a "Life with Phil" talk on April 26 at the Old Capitol Senate Chamber. The event is part of Phil’s Day, which celebrates philanthropy and all the ways UI’s people, buildings, and programs benefit from it. Students, faculty, and staff will sign thank-you cards for donors at various spots around campus and wear “I am Phil” stickers that symbolize their connection to these acts of generosity. Black and gold bows and signs will also be placed on campus buildings to represent Phil’s impact. Black and gold were the only colors Kaufman considered for his college choice. Raised in Olds, Iowa, a town of less than 200 people located 38 miles south of Iowa City, Kaufman developed an early affinity for the UI and its athletics—attending Hawkeye football, basketball, and wrestling. A multi-sport athlete at WACO High School, Kaufman knew he wasn’t talented enough to compete in Division I and figured he’d teach or coach at a small high school. That vision changed after his athletic training orientation. Kaufman wanted to understand athletic injuries, help athletes recover, and stay immersed in sports. A new door had opened. “[The UI] changed my career path, changed my life, and changed my direction,” says Kaufman. Philanthropy sat in the back of Kaufman’s mind initially as his duties at Athletico, and as a husband and father, made him hesitant to get involved. “I didn’t appreciate the opportunities they provided to meet people, step outside the business, support things that were important to me, and the benefits you get from that,” says Kaufman. He’s since shared his gifts with many, including local underserved communities. As an executive committee member of Big Brothers Big Sisters Metropolitan Chicago, Kaufman advances the organization’s mission to pair mentors with children who are facing adversity. He also serves on the board for Operation Walk Chicago, an organization that helps homebound people with debilitating joint diseases walk again. Kaufman has not forgotten the place that launched his successful career—and has given back to the UI to help other aspiring athletic trainers. Most notably, Kaufman helped sustain the UI’s athletic training program through the Danny T. Foster Professorship in Athletic Training Education. Foster (74BS, 77MA, 96PhD) taught and mentored Kaufman at the UI, and sparked his interest in athletic training when Kaufman attended a Hawkeye wrestling meet as a high school senior. Inside the Field House, Kaufman watched Foster tend to a wrestler. “I didn’t know what an athletic trainer was,” Kaufman says. “We didn’t have one at my high school.” Foster exemplified everything an athletic trainer should be. He could answer nearly any question, set high expectations for the program, and displayed a calm and stoic demeanor that Kaufman wanted to emulate. John Streif (70BS) and Ed Crowley were also influential members of Iowa’s athletic training staff, who along with Foster, developed Kaufman’s work ethic, raised his attention to detail, and first connected him with Big Brothers Big Sisters. Athletico grew organically for 20 years, and in recent years has rapidly expanded its reach through several acquisitions of other physical therapy and rehabilitation companies. Kaufman’s clinical duties shifted to the business side, and he plans to further spread Athletico’s range by seeking opportunities in health care beyond outpatient and physical therapy. What: Kaufman will reflect on his UI experience and how philanthropy has affected him in the “Life with Phil” talk. When: Thursday, April 26, at 10:30 a.m.